Shonda Rhimes Inducted into the NAB Broadcasters Hall of Fame. 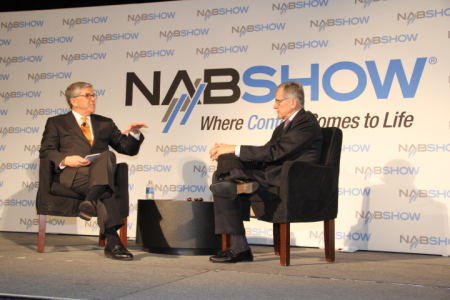 A little over a week has passed since approximately 103,042 attendees walked through the Las Vegas Convention and Visitor Center (LVCC), for the 2015 NAB Show (The National Association of Broadcasters), held from April 11-16, 2015. 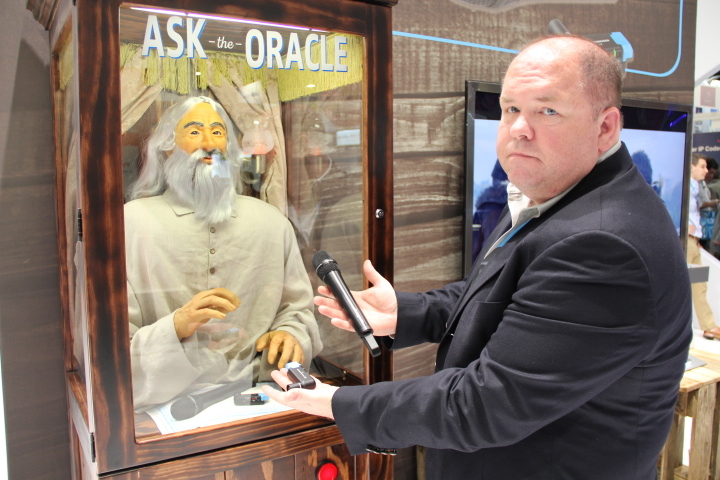 Excitement around events like the ShowStoppers@NAB Show press reception held Sun. 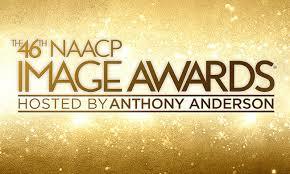 – April 12, at the Wynn Hotel and Casino, Las Vegas, set the stage for the show floor opening (Mon. – April 13) and the start of the show, and with so much taking place during the show many are probably still processing what they heard, learned, and seen. Besides opening day highlights which include NAB’s Pres. 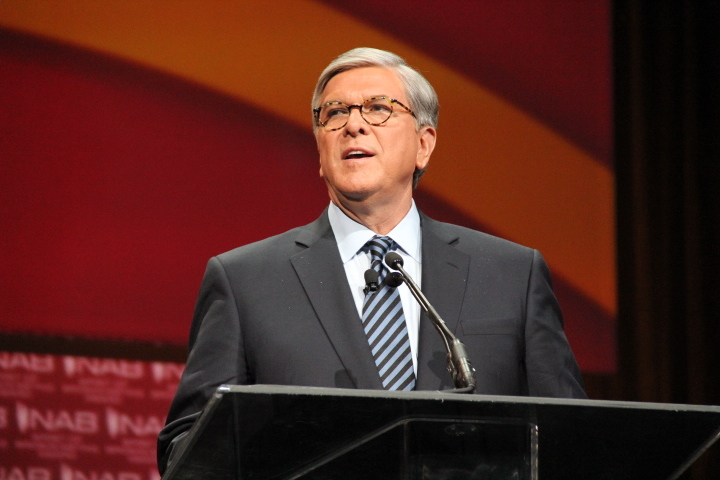 and CEO, Gordon Smith’s annual NAB State of the Industry Opening Keynote, where he made comparison of the radio and broadcast industries today, as they were 5 years ago when he took over as NAB’s Pres. and CEO, a lot more took place during the show. As he gave examples of what information people might be getting, he pointed out that despite what happens to other sources of news and information television and radio broadcasting will still be present and relevant, and that in 2010, there were over 200 million websites, today there are nearly 1 billion. 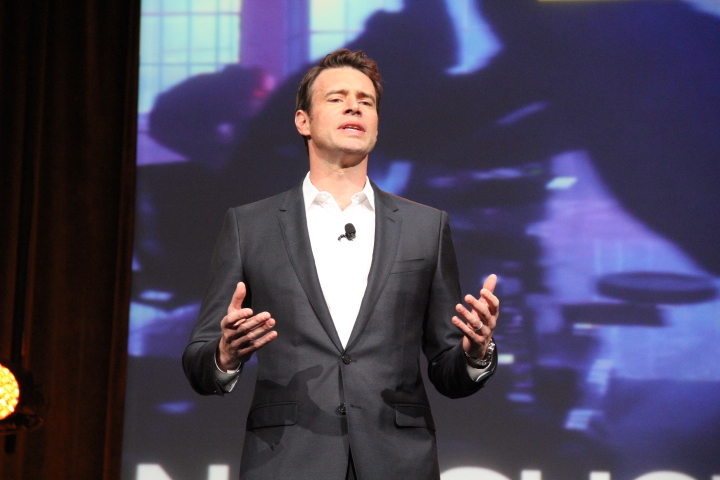 Smith, also touched on the importance of the next generation, and encouraged attendees to walk the floor and take in the many innovations that are on display, such as innovative start-ups at SPROCKIT, for the first time at the show, the drone pavilion, or the cloud computing conference, to the 4K Ultra HDTV’s, or the demo of 8K super hi-vision on a 350 inch screen (with 22 channel sound). “Broadcasting obviously does not exist in isolation, but as a vital piece of the dynamic and ever-changing media and entertainment landscape,” added Smith. Smith, pointed out that the NAB Headquarters will be moving just minutes away from Congress in 2018, and that they plan to send a strong message to policy makers about the main issues and obstacles broadcasters are facing. “Now, winning our legislative and regulatory battles on Capitol Hill and at the FCC ensures broadcasters will be able to capitalize on these innovations,” explained Smith. “That message includes ensuring new royalty rates that will fairly compensate artists while encouraging more radio stations to stream, fighting back a performance tax on local radio stations, working towards common-sense ownership rules that reflect today’s media landscape, and preventing pay TV companies from dismantling the retransmission consent process. He also used the opportunity to touch on the Spectrum Auction, a market-driven retransmission consent framework, and hopes the FCC allows the market (players) involved to determine the prices. 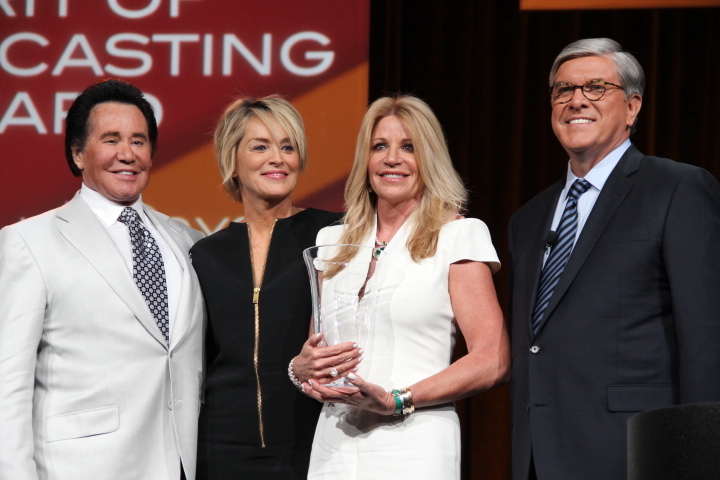 Longtime family friend to broadcaster and veteran broadcasting advocate Lowell “Bud” Paxson, entertainer Wayne Newton, gave kind words as he remembered his friend, before introducing actress Sharon Stone, who express the bond she also had, remembering and honoring him posthumously. 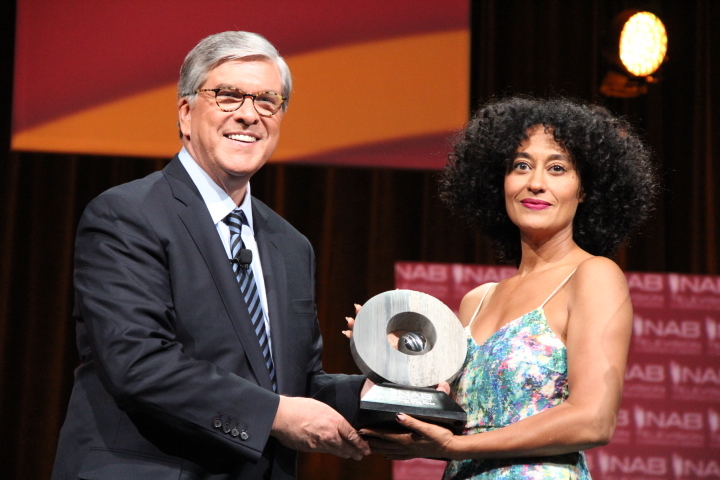 As the excitement in the room and the program continued, it was on to other honorees, among them Tracee Ellis Ross, who was honored with the distinguished NAB Television Chairman’s Award. “Wow thank you so much, NAB thank you, I feel so honored. It was funny watching my work, I’m such a nutt, oh my God, silly lady. My middle name, my actual middle name is Joy, Tracee Joy Silberstein is how I was born and as you can tell I came out the womb as a silly lady. I feel really honored. I love what I do. One of the first television shows I did was on Lifetime, it was a show called The Dish and the theme song of the show I sang and it went like this, ‘Cuz I’m a tv girl, I live in your tv, and I’m a tv girl,’ and it went on for m there. I really feel I have always been a lover of tv and I feel so honored and humbled that I get to do this and be on tv every week, I grew up watching Lucy and Carol Burnett, they were my heroes. I was raised in a way that there was a appropriate way to be and an appropriate way to stand, and I loved beautiful clothes, and when I saw Caroll Burnett and Lucy, and realized I could wear beautiful clothes and be silly, I thought oh my goodness, I been given permission to be myself,” enthusiastically and humbly expressed Ross. Without a speech prepared Ross, spoke from the heart, elaborating how who she grew up watching tv and there were always strong extraordinary women, how she thinks movies are great but loves tv, and how she has been blessed to be on more than one show at a time, and being proud of the cultural impact the shows she been a part of have had. 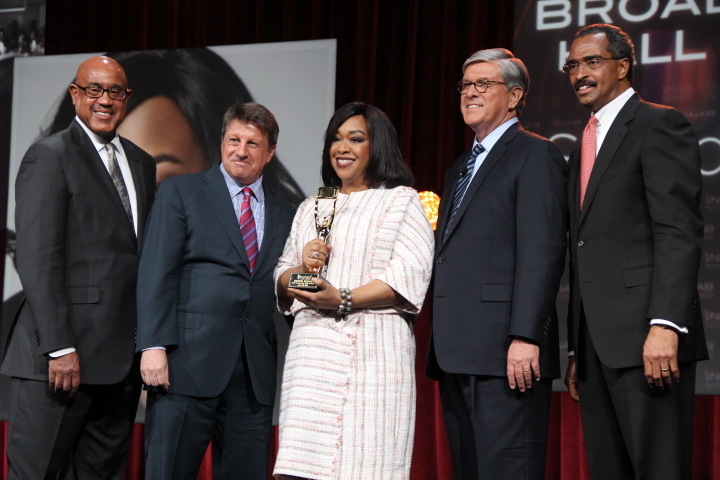 Another highlight of the NAB Television Luncheon, included Shonda Rhimes, among other things, creator and executive producer of “Grey’s Anatomy” and “Scandal” being inducted into the 2015 NAB Broadcasting Hall of Fame. “I may be Shonda, but she is the land,” in reference to her producing business and executive producer partner Betsy Beers, who Rhimes credits with part of her success. Opening day highlights would not be complete with out mentioning companies eager to unveil new cool stuff at NAB, among them was Sennheiser Electronic Corporation, who was unveiling their AVX microphone system for video cameras, and the two new digital clip-mic’s, the ClipMic Digital and also the MKE2, both created in conjunction with Apogee. new AVX microphone system for video cameras. Drones who have become a hot topic recently had their own section at the show under the new Aerial Robotics and Drone Pavilion. 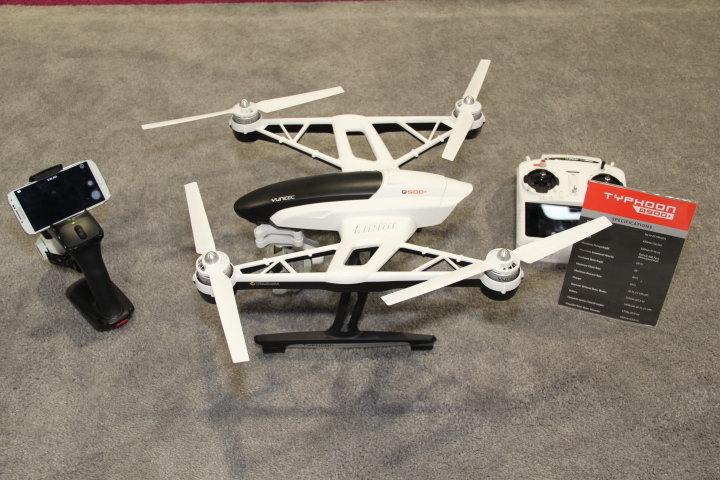 Ontario, Ca., based Yuneec Electric Aviation, was also unveiling two new versions of their popular, sophisticated, and exciting Typhoon Q500, a complete aerial photography and videography (APV) system drone, the Typhoon Q500+ and the Typhoon Q500-4K, both featuring the new Steadygrip CG03 system which combines a 3 axis precision gimbal Yuneec’s 4K UHD video camera, allowing you to capture amazing and stable video footage. 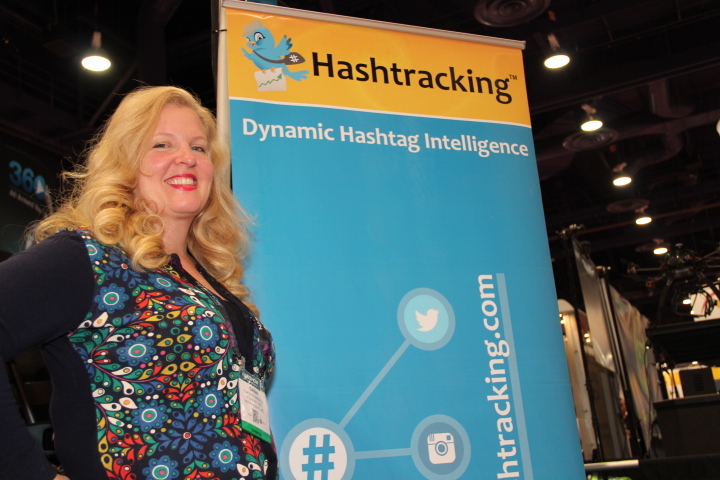 Another cool company in its fourth year returning to the NAB Show, whose services are being used by The White House, NASA, and even the NAB, among others to track their hashtags is Hashtracking, which tracks predominately (#) hashtags for Twitter and Instagram.